BTI is a non-profit organization located in Utrecht, the Netherlands. Founding partners UMC Utrecht (NL), University Hospital Zurich (CH) and the Toronto University Health Network (CA) established BTI in 2013 because of a desire to have an Institute that focuses on centralizing the knowledge, research and development of new products and technologies in the field of rare neurosurgical diseases. Through BTI’s track record with the bench-to-bedside development of the Elana Surgical Kit (CE, FDA and Health Canada approved) and the unique combination of BTI's (laboratory) facilities, know-how and collaboration with world-leading neurosurgeons we are able to facilitate all steps from idea / invention, conducting (pre-) clinical research and certification of a product in the neurosurgical space. Drive education in the field of (vascular) neurosurgery. 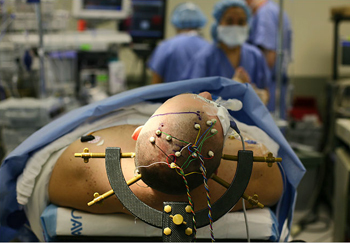 Being an independent, non-profit organization that operates in close collaboration with world-renowned neurosurgeons, BTI is able to make a difference for neurosurgical patients through its research & development and educational programs.